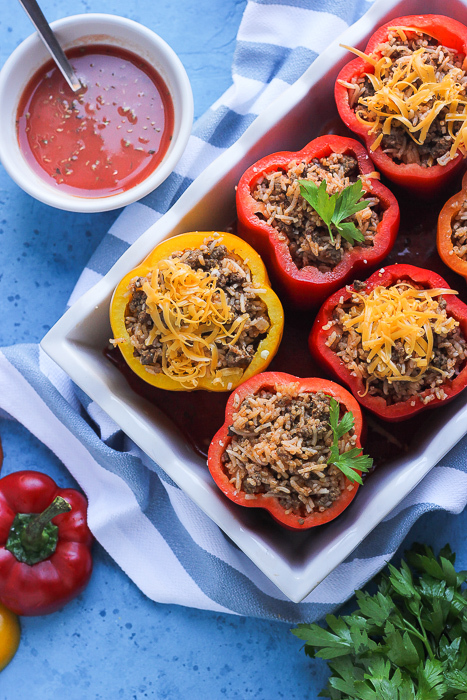 These stuffed peppers with rice and ground beef is a breeze to make. It’s simple and looks amazing ! The trick is to use passata (tomato puree) for that silky sauce you can make in seconds to cook the peppers in. I’m bombarded with piles of locally grown Bell peppers (Capsicum) when I go grocery shopping every weekend. It’s a lovely sight to take in. All the reds and yellow bell peppers piled high, prices drastically reduced, screaming to be picked up. 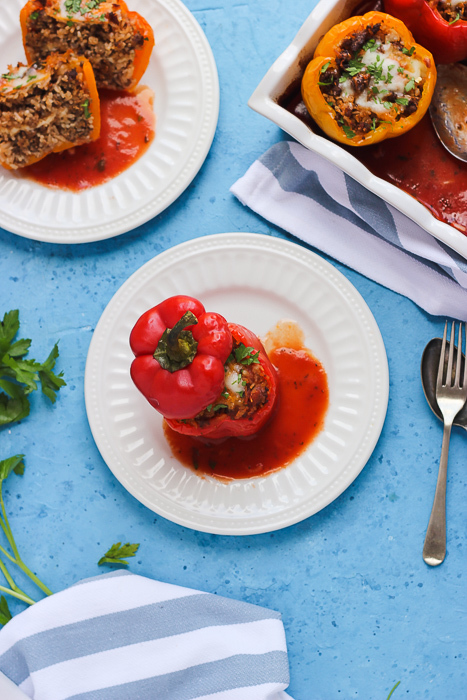 My go to recipe with bell peppers is to roast them and make a roasted vegetable sauce. With so many bell peppers I want to use them as the star ingredient. 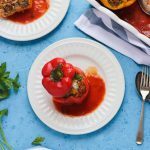 Enter stuffed peppers with rice and ground beef. When it comes to making dinner I like to shorten the prep time. I don’t mind a baking time of 45 minutes or 1 hour as I’m free to spend that time with my kids or husband and not in the kitchen. I didn’t roast or pre cook the peppers. I went straight to making the filling. The ground beef hardly takes any time to cook. I have used pre-cooked rice for the filling to cut down on prep time. I always have some cooked rice in the fridge for weekday meals. But don’t fret, if you don’t have any. You can use any store-bought, pre cooked rice or microwave rice pouches. If you want to cook rice for this dish, you can cook some while you’re browning the beef. We need a sauce base to cook the peppers in the oven. I have a shortcut up my sleeve for this one. I love passata (strained tomato puree) and always have a few bottles stocked in my pantry. You can use the canned or boxed passata if that’s what you have. Or pulse some tomatoes in the blender and strain them, maybe ? I haven’t tried that way so I don’t know how the taste will be. But if you are willing to be adventurous, go ahead and let me know. The sauce comes together in minutes with passata and with some broth. 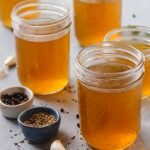 I used my homemade beef broth. 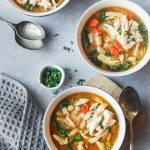 But you can use chicken broth or vegetable broth. There’ll be a slight variation of taste depending on your broth but we’re after some tartness and the passata takes care of it. Look at all those colors ! 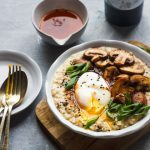 This is a show stopper and will grace a dinner table just for the family or when you have guests over. If you want to make it for a crowd just double or triple the recipe. The first time I tested the recipe my kids complained that there’s not enough cheese in the filling. Now, I always add a layer or two of cheese in to the filling and it makes this extra kid-friendly. Of course, the peppers are left half eaten but more peppers for mama. Yayyy!!! Spoon the sauce over the peppers when eating for extra flavour and yumminess. Anyway you choose to eat it, it’s delicious. Make use of the local peppers if they are still around. But bell peppers are abundant all year around. 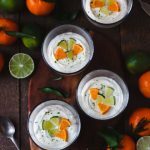 Enjoy and if you make this recipe,let me know on Instagram. I love seeing your photos. Don’t forget to follow along on Pinterest, Facebook and Instagram – I love seeing you all there! 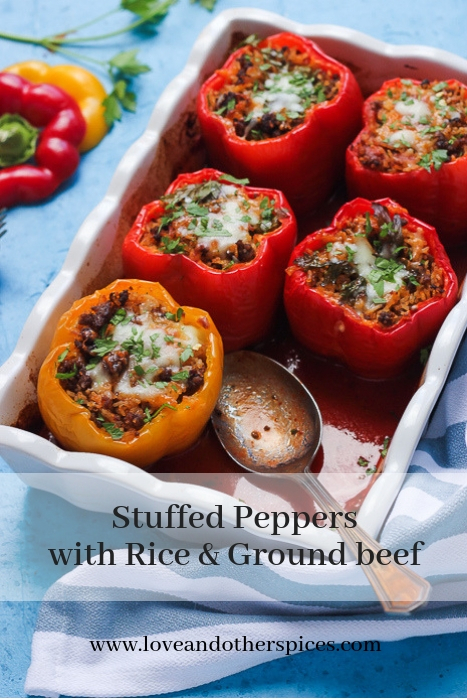 An easy and delicious stuffed peppers recipe with rice and ground beef. Prep the filling in no time and toss it in the oven to bake so you make time for other important things. It's colorful and kid approved. Heat oil in a large pot over medium high. Add the ground beef. Cook for 10 to 12 minutes until meat is browned. Add the salt, paprika, chili powder, coriander and cumin to the browned beef. Cook for 1 minute mixing the spices with the beef. Add onion and garlic. Cook for another 3 to 4 minutes until onion is translucent. Add the cooked rice. Mix it in . Add the passata and beef broth. Give it a good stir. Cook for another 5 minutes and remove from heat. In a bowl, mix the passata, broth, oregano and salt together. Pour the sauce into 13*9inch rectangular baking dish. Slice a small piece from the bottom of the pepper to make it stand upright. Fill halway through. Sprinkle shredded cheese. Fill the rest of the pepper. Place it in the baking dish. 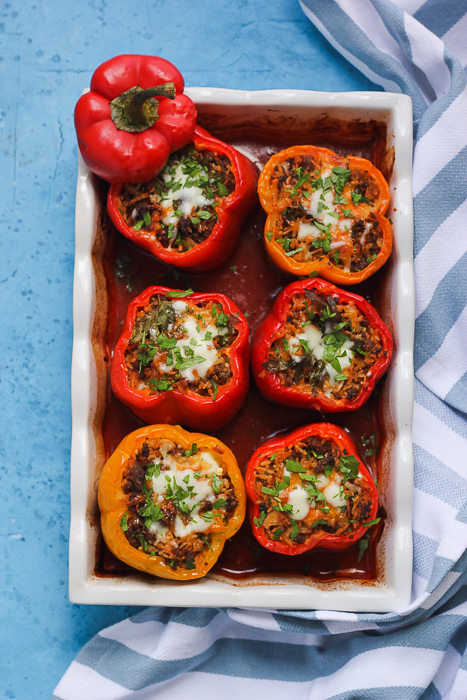 Fill the remaining bell peppers the same way, with a layer of cheese in the middle. Place all the bell peppers in the dish. 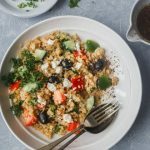 Drizzle a tablespoon of olive oil around the edges of the bell peppers. Sprinkle cheese on top of each. Cover the dish with a aluminuim foil. Bake in the oven covered for 45 minutes. Take the foil off and bake for 15 minutes. You can add ground black pepper or red dried chili flakes to the sauce if you want to turn the heat up. Make ahead instructions: Fabulous for make ahead. The filling can be made ahead. 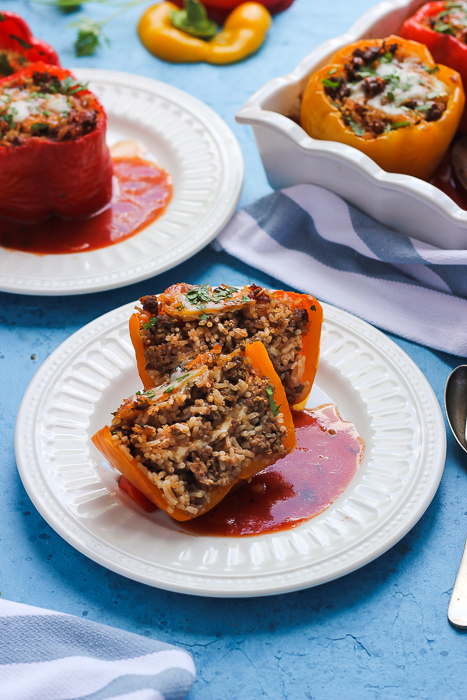 Assemble the filled peppers but pour the sauce only when it's time to bake. Once baked it refrigerates well. Can be left for 3 days in the refrigerator. Leftovers taste delicious.